If you thought that Tuesday, 12th of June 2018 is a federal public holiday, sorry, it isn’t. The Federal Government has clarified that the newly announced Democracy Day will take effect in “subsequent years” and not from this year. 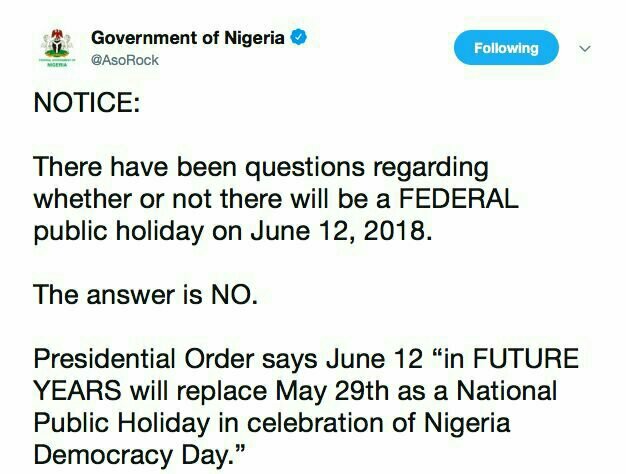 0 Response to "There will be No Federal Public Holiday on June 12, 2018 – FG Clarifies"